As New York City’s federally mandated cleanup of the toxic Gowanus Canal continues to ramp up, efforts to install sewage tanks at the head of the canal could end up destroying several buildings that would help the neighborhood qualify for a national historic district designation. The decision to buy out three private parcels along the canal comes after local community pushback canceled the Department of Environmental Protection’s (DEP) initial plans to install the 8-million-gallon detention tank under the nearby Double D Pool and Thomas Greene Park. Instead, the DEP will now buy out the three parcels for a cost of up to $70 million. If the owners refuse to sell their land, the city will begin a lengthy eminent domain process to seize them. Apart from the monetary costs, leveling the existing buildings at 234 Butler Street, 242 Nevins Street and 270 Nevins St. for use as a staging area during the construction could damage the neighborhood’s standing in the eyes of the National Register of Historic Places. 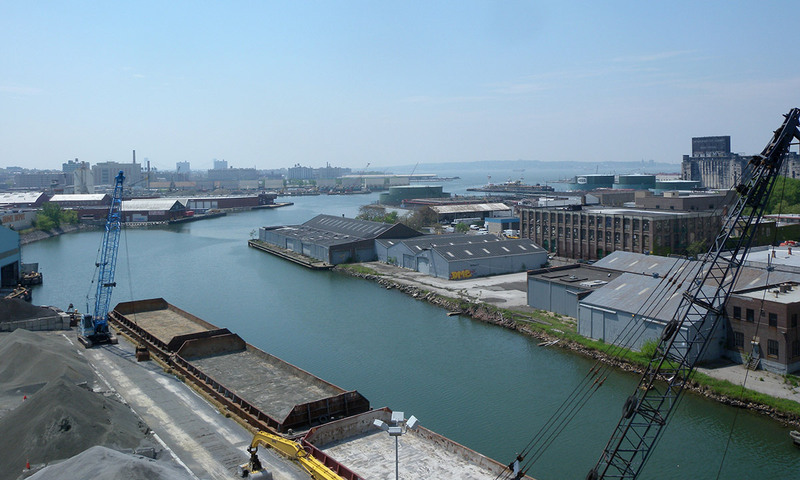 If local officials were to submit Gowanus’s low-lying, historically industrial waterfront for preservation, it’s likely that the construction of the tank would affect the area’s eligibility. The 100-year-old 234 Butler St. in particular stands out for its terra cotta and brick façade, with the Gowanus name emblazoned in brick on the building’s cornice. Residents of the Brooklyn neighborhood rallied to protect the former Gowanus Station upon learning that the EPA and DEP would be tearing it down. In a press release to the borough president, Linda Mariano of Friends and Residents of Greater Gowanus, said, "Its design and sculptural elements tie directly into the history of the Gowanus neighborhood's relationship with water. It can and should be saved." In a letter to the EPA, Olivia Brazee, Historic Site Restoration Coordinator with State Historic Preservation Office, wrote that “Its demolition would adversely affect both the building and the National Register eligible Gowanus Canal Historic District.” While an attempt was made to have the neighborhood officially realized as a state and national historic place in 2014, community intervention ultimately led to the plan being shelved. The DEP and EPA will need to come to an agreement on the location of the detention tank before the canal’s dredging finishes in 2027, but if installed, would reduce wastewater runoff into the canal by up to 91 percent. What's more Brooklyn than several thousand tons of toxic sludge channeled down a concrete chute being portrayed as a developer's Riviera? If you're confused which horribly polluted body of water in Brooklyn we're referring to, we'll save you some time: it's the Gowanus Canal. You know, the same canal nicknamed "Lavender Lake" in the early 20th century due to the pastel hue it turned while absorbing immense amounts of slaughterhouse slurry, coal tar, and a cocktail of human and chemical waste. The Environmental Protection Agency (EPA) more straightforwardly called it "one of the nation's most seriously contaminated bodies of water.” The Gowanus Canal is long overdue for a makeover. The first week of October, preliminary dredging began on a large-scale environmental renewal of the site, which will cost around $500 million in total. Since early 2010, the body of water has been a federally-designated Superfund site, meaning it has been identified a significant hazard to people, animals, plants, and everything alive – in short, an environmental and public health disaster just a rainy day away from cross-contamination. This will be the first time the city has ever endeavored to clean the canal since its channelization in the mid-1800's (though humans have technically cohabited with the canal since it was a creek in the early 17th century). The surrounding neighborhood has been experiencing paradigm shifts of its own. Residential development has been far from deterred by the site's chemical underpinnings. The neighborhood's first luxury high-rise opened in the summer of 2016 at 365 Bond Street. Shortly after, the Department of City Planning initiated Plan Gowanus, a direct community engagement platform to look at rezoning the neighborhood in light of increased interest in waterfront development. The city expects this engagement process to continue for at least another two years. 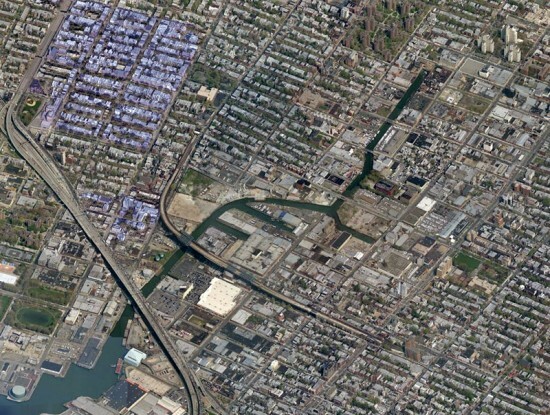 How and whether Gowanus' rezoning will align with the cleanup process is not entirely clear yet. 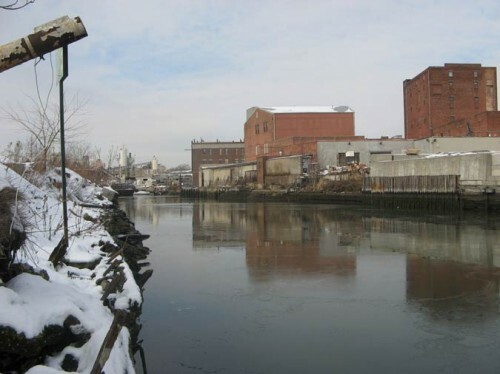 According to the EPA's progress page for the Gowanus Canal, the site has not even received a preliminary assessment or site investigation, despite the fact that dredging has begun. A developer at Property Markets Portfolio (an owner of many waterfront properties along the canal) estimates that the process will wrap up in roughly five years. What remains to be seen is whether more attention will be paid to the health risks involved in developing a Superfund site at the canal's scale. At present, 26 million gallons of raw sewage flood into the canal per year, which the advent of new underground sewage tanks is expected to reduce to 11 million gallons per year. Flooding is still a common occurrence for nearby residents–in fact, there are a series of informal underground waterways winding through the basements of locals, spreading out as far as Prospect Park. Eymund Diegel, an urban planner fascinated with the history of the canal, mapped them out in a recent New Yorker piece. Landscape architects have imagined the remediation of the canal from slightly more utopian angles, from DLANDstudio's Gowanus Canal Sponge Park, a more traditional waterfront park that would simultaneously help clean the canal, to SCAPE's Gowanus Lowlands, an adaptive design allowing direct interaction with the waterfront. Brooklyn's Gowanus Canal is a Superfunded mess, filled with contaminants and often overflowing with sewage. But a new plan from the Environmental Protection Agency (EPA) says that with proper dredging to remove contaminants and a mere $500 million, the former industrial hub could potentially become the borough's inland waterfront. The EPA proposes targeting the canal cleanup in three phases to minimize disruption to the neighborhood. According to the NY Times Green blog, "For the first two, more heavily contaminated segments, the agency plans to dredge or 'stabilize' the sediment in some areas by mixing it with concrete or a similar material and then capping it with layers of clay, sand and gravel. The third segment would be dredged and capped with sand." Additional improvements to the city's sewer outflows at the canal could drastically improve sewage discharges by up to 74 percent. Two public meetings have been scheduled for late January to discuss the plans. Form follows People. According to the NY Times, there might be a significant mismatch between "the housing New Yorkers need" and "the housing that gets built." 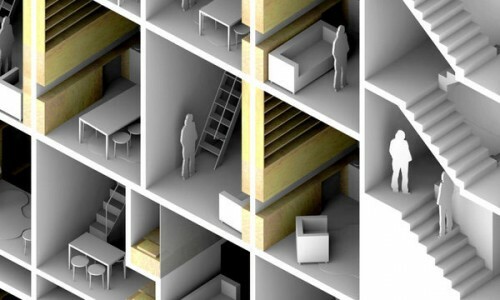 That's why last monday, various NY architects gathered together to pitch their proposals to city commissioners for artist, musician, and other creative-type housing. Surrounded by Superfunds. Four of the most polluted water-ways in the country—all declared Superfund sites—are located in the Tri-State area around New York City. WNET's Metro Focus breaks down of each waterway's problematic histories and the difficult task of cleaning them up. 3-D Printed. Wired reports that we could be only 2 years away from building circuit boards with 3-D printers. Implications? Printed out PCs, printed printers (if a part breaks, that part can be printed out), inventory-less virtual stores, and easier work collaboration across the country or the globe. Costco Bonito. While it might be difficult to call a big-box store beautiful, designers at Costco are certainly trying to punch up the retailer's design in Los Angeles The LA Times has more on the proposed beautification efforts which include adding dark, woodlike metal-slats to the facade. The Gowanus Canal has been in the news a lot lately, with its superfund designation and sunken schooner. The canal and surrounding neighborhood have long fascinated architects and urbanists, and has been the subject of numerous architecture school design studios. A new ideas competition looks to develop that fascination into a series of proposals for the site, which would improve connectivity across and around the polluted waterway and take better advantage of the area's unique history, character, and economic potential. Sponsored by Gowanus By Design, Connections: The Gowanus Lowline competition site area covers the length of the canal from the flushing station at Butler Street to the Nineth Street Bridge and may include the uplands on either side. Entrants may also choose to focus narrowly on the canal corridor. Greg Pasquerelli, David Lewis, Julie Bargmann, Richard Plunz, Andrew Simon, and Joel Towers will serve as jurors. The April 1 registration deadline is approaching, and entries are due on April 17. Ahoy! Treasure in the Gowanus Muck! The Enviornmental Protection Agency is beginning its analysis and cleanup of the filthy yet fascinating Gowanus canal. It's proving to be full of all kinds of junk, including horrendous carcinogenic chemicals and, as the Brooklyn Paper reports, a 60 foot long sunken ship! Located where Fifth Street meets the canal, the wooden ship likely dates from the 19th century, the channel's shipping heyday. 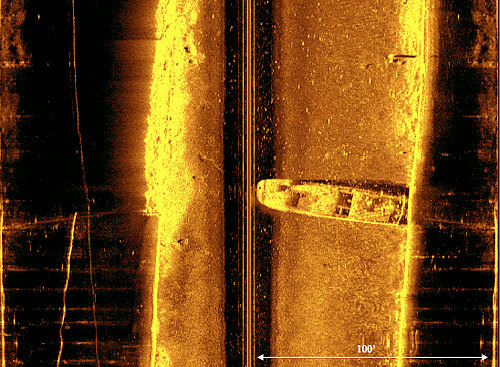 What we're calling the S.S. Superfund was discovered through sonar scanning, its outline is clearly visible in the image above. This is the second time in a year that New York's maritime past has resurfaced. Last summer another submerged ship was found buried at the World Trade Center site. Distorted. 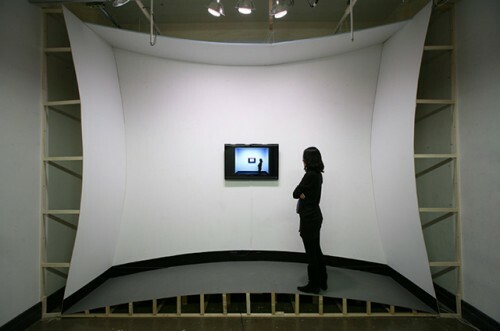 In a nod to fun-house architecture, artist Kyung Woo Han created a physically-distorted room that's made to look normal through a fish-eye camera lens. Today and Tomorrow has more photos. Cities Rule. Economist Ed Glaesar talks with Grist's Sarah Goodyear about why cities rule the fate of humanity. He has a new book out called Triumph of the City in which he calls for, among other things, rethinking policies like highway subsidies and the mortgage tax credit. Districted. Cincinnati is currently rebranding itself, and UrbanCincy suggests the city focus on an emerging core of design called the 8th Street Design District, home to 336 creative professionals including architects and designers. Superfunded. Everyone knows it's not a good idea to take a dip in the Gowanus Canal, but just how dirty is the Brooklyn waterway and Superfund site? A new EPA report lets us know and the Brooklyn Paper has the details. In short, its still going to be contaminated, even after the cleanup. We’ve just gotten the news and we’re continuing to work on understanding the impacts of the designation on the potential for moving forward with a rezoning to facilitate appropriate development and remediation. Clearly, the Superfund designation adds a layer of additional complexity (and uncertainty) to an already very complex process. UPDATE 2: Curbed has word from the folks at Gowanus Green that they have yet to give up on their project, though they do acknowledge that it will be more challenging. This Stinks! But for How Long? UPDATE:The mayor called. See more below. It should come as no surprise that a local government supported the Superfund designation of one of its most polluted waterways. Unless that government happens to be the Bloomberg administration, which has vehemently opposed "blighting" the Gowanus Canal and environs by naming the polluted Brooklyn waterway a Superfund site. That opposition remains firmly in place. What is surprising, though, as the Brooklyn Paper reported Friday, is that the administration, in testimony submitted to the EPA on December 23, came out in favor of designating Newtown Creek, a place in constant competition with the Gowanus for most reviled in the borough. The big difference, it would appear, is that the Gowanus' northerly sibling has but award-winning poop processors lining its banks, and not the prospect of condos. Though that prospect could be fading fast. Curbed informs us that Toll Brothers may be trying to back down from its plans to build a 450-unit mixed-use, mixed-income project on the canal, as the developer owes money for the purchase of its three-acre property. The $21.5 million deal was contingent on Toll getting the area rezoned from industrial to commercial, which they did back in the spring. But because of the pending Superfund decision—likely to come down this spring—the developer has been dragging its feet, resulting in a series of suits between them and the former owners of the land. Which brings us back to the mayor's office. Mark LaVorgna, a Bloomberg spokesperson, defends the city's seemingly contradictory positions to the Paper thusly: “They are different situations and we evaluate each one independently. 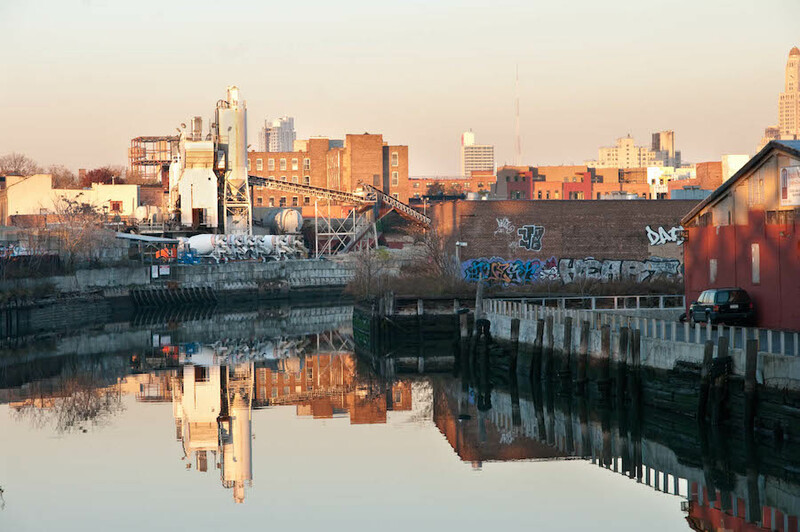 Each situation is not the same.” But if the process is too slow and litigious for Gowanus, shouldn't that be the same case for Newtown Creek as well, condos or no condos? This could have as much to do with repeated fears that the city is attempting to avoid a Superfund suit of its own from the EPA for various violations, from stormwater overflow to a DOT cement plant, as there are no known problems of the sort on the creek. The (open) question remains whether the city can get the job done. It reminds us of another piece of pre-Christmas news, the cleaning of the "Bronx Swamp," where the city pumped 625,000 gallons—five times the amount of water originally expected therein—out of a mile-long, below grade railroad passage. At first, it appears the city is more than capable of undertaking such work, given that the administration got the job done. But at the same time, the amount of work was grossly underestimated—fivefold, even—and what's worse, the city's been left holding the bag, having been unable to find responsible parties to charge the $350,000 cleanup cost. And yet this is exactly what city officials claim to be able to do on the Gowanus, which is expected to cost, at a minimum, $1 billion. UPDATE 1/14: LaVorgna phoned us late yesterday to to take issue with our supposition of the Paper's innuendo that the administration was being sneaky in submitting its testimony on December 23. Initially, we wrote that "the administration ever so quietly—on the eve of Christmas Eve, to be exact, December 23—submitted testimony." LaVorgna pointed out that that is simply when the public comment period ended. "We didn't set that date, the EPA did," he told us by phone. As for the assertion that there was something to the city's differing positions on Newtown and Gowanus, LaVorgna reiterated what he told the Paper, that the city cannot, at Newtown, utilize the expertise of the Army Corps for the cleanup nor are there willing parties to pay for it. "If we could, we would, but they're totally different situations," he said. Meanwhile, the Daily News looked into the Toll suit today, the Brooklyn Paper wrote a scathing editorial on the city's bifurcated position, and it looks like the Creek will need a serious clean after all, as a local company has been accused of illegal dumping into the waterway. On Monday, we reported on the Bloomberg administration's continued vociferous resistance to Superfund listing for the Gowanus Canal. While the main complaint by the mayor was that the Superfund stigma would poison the area for development for decades to come, we did not mention—at least not this time—that a major concern is also that the city could be held liable for some portion of the Superfund cleanup because of a number of polluting properties on the canal. That seems all the more likely now—as does the potential for listing—as the Post reported yesterday that the city has been sent a notice for its liabilities. According to the tab, "The city’s responsibility comes through previous/current ownership of an asphalt plant, incinerator, a pumping station, storage yard, and Department of Transportation garage." In an interesting new twist, the Navy was also served with a notice for at least nine "facilities where the Navy directed and oversaw government contractors which owned and/or operated facilities adjacent to the canal." Daniel Walsh, director of the Mayor’s Office of Environmental Remediation, said a Superfund cleanup would likely take more than two decades, putting at risk more than $400 million of private investment already committed to the area for housing and other development. Speaking at an informational forum on Tuesday night held by Representatives Nydía M. Velázquez and Yvette D. Clarke, both Democrats from Brooklyn, he said that cleanup projects like the city’s planned dredging of 1,000 feet of contaminated sediment at the bottom of the canal, at a cost of $15 million, could also be at stake. “These investments are part of the a plan that the city has developed to remediate the canal that is collaborative and efficient, rather than embarking on a Superfund process that is, at its core, an adversarial process focused on finding responsible parties for past contamination,” Mr. Walsh said. But a designation could steer hundreds of millions of federal dollars toward a comprehensive cleanup, and neighbors at the meeting were split on their support for the Superfund designation. Mr. Walsh was both booed and applauded during his remarks.